Crowdfunding page for Beta Bionics on the WeFunder portal.. Were you skeptical that crowdfunding would help small companies go public? So were we, but it's actually happening. Forthcoming IPOs include craft beer companies, a bionic pancreas, and a camp for girls. Roughly 75 small companies, some start-ups and some longtime small businesses, have filed with federal regulators to go public using crowdfunding "portals." These stock and bond offerings are put out via the new financing portals, which are all electronic. The portals became legal as of May, but regulators stress that investing in start-ups is risky. They place limits on how much you can invest (roughly $2,000 if your income is less than $100,000, for instance), and they cap at $1 million the amount of money start-up companies can raise. IPOs like Beta Bionics, Cleveland Whiskey, Native Hostel Austin, and Hawaiian Ola Brewing are just some of the firms that filed this summer to sell shares or debt through crowdfunding. They were highlighted in a Drinker Biddle Crowdfunding Report, an open data set on the first 50 IPOs conducted under a new JOBS Act law that regulates crowdfunding and under the Securities and Exchange Commission rules. Booze ranks heavily among the early IPOs. Eight issuers, or 16 percent of the first 50 offerings, fall into this category, including two distilleries, two craft breweries, two bars, as well as a frozen alcohol producer and a ginger liqueur maker. Other IPOs are known as "B-corps," or benefit corporations, which have a double bottom line - making a profit while also aiming to do good. Beta Bionics, a Massachusetts benefit corporation (with B Corp certification pending), was one of the first-day filers July 1. 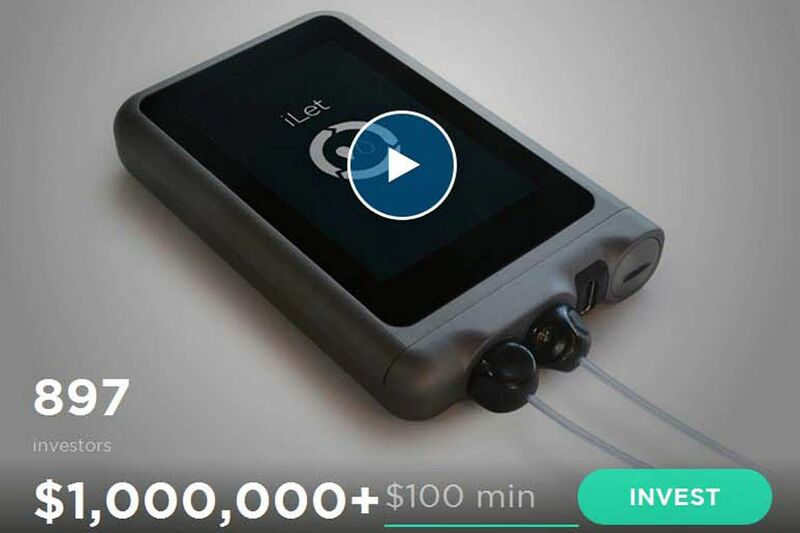 Beta Bionics was founded in 2015 by Boston University professor Ed Damiano, who developed the iLet, a "bionic pancreas" that the company says will regulate blood sugar levels for individuals with Type I diabetes. Beta Bionics is offering 500 shares of common stock at $100 per share. In the first 50 days, the company received more than $600,000 from more than 550 investors on the Wefunder portal. The offering expires Dec. 19 and is on pace to be the first IPO conducted under Regulation Crowdfunding to raise the maximum amount permitted by law in a 12-month period, said Marc Leaf, a lawyer at Drinker Biddle in New York. "People are passionate about mission-driven companies," he said. SharkStopper, a device to repel sharks, is selling 140,000 shares at 50 cents a share and crowdfunding on FlashFunders.com. Yet another company, Spotlight Girls, operates summer camps in the San Francisco Bay Area and teaches empowerment for young women. It is selling 5,000 shares for $5 apiece. You can download the Drinker Biddle data set, which the law firm plans to update, on its website (drinkerbiddle.com). Some investors just think bonds today are trading as if they are in a bubble. Martin Leclerc, a principal and chief investment officer at Barrack Yard Advisors in Bryn Mawr, is one of those. "We hold about 40 percent U.S. and 60 percent non-U.S. equities. I can own bonds, but the world is deflationary right now. I don't feel comfortable" owning bonds, he said. "My gut tells me we're in the mother of all bubbles." Instead, he owns income-producing assets not tied to the cost of money or interest rates, which in many countries are now negative. "I like companies with a low risk of being destroyed by innovation, especially a family business, owned and still operated by people who invest for the next generation. Also I like strong free cash flow with opportunities for reinvestment." IBM is one of Barrack Yard's bigger positions. "They have 13 percent free cash flow yields, a dividend, and buyback. They're using half of their free cash flow to buy back stock and the other half to buy businesses and grow initiatives," Leclerc said. The firm's positions representing 4 percent or more of the portfolio include Jardine Matheson, Carlyle Group, Detrex Corp., and Pargesa Holding. Other holdings more than 3 percent of the portfolio include standbys such as Berkshire Hathaway, Boardwalk Pipeline Partners, Icahn Enterprises, Third Point Reinsurance, Compagnie Richemont, and Mandarin Oriental International. A sampling of crowdfunded IPOs and the portals those companies are using to raise money. In order by target funding amount. Allen Hydro Energy Corp. $50,000 UFP L.L.C. Treycent Inc. $60,000 Jumpstart Micro Inc.
SharkStopper, Inc. $70,000 Flashfunders Securities L.L.C. Cleveland Whiskey $100,000 Wefunder Portal L.L.C. Stratifund Inc. $200,000 SI Portal L.L.C. Brewer's Table, East Austin $250,000 NextSeed US L.L.C. Pipeline Sports Network $300,000 StartEngine Capital L.L.C.